It’s not enough to simply keep a record of contract data – it’s important to be able to leverage that data to support decisions that help enterprises succeed. Contract Logix’ innovative CLM software takes contract data to the next level and enables contract managers to make decisions that improve an enterprise’s access to financing options. Cash is the lifeblood of businesses of all sizes. Without access to a healthy cash reserve or an operating capital line of credit, an enterprise could be hit with a major cash crunch or, even worse, miss out on several business opportunities. 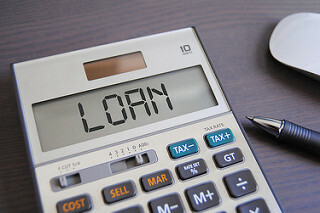 In addition to traditional forms of lending, such as bank loans, credit cards, and trade credits, businesses can use their accounts receivable as collateral to secure loans from some financial institutions. Despite its higher cost compared to other forms of financing, asset-based lending is a common source of debt financing for businesses. According to the Commercial Finance Association, the total number of asset-based credit commitments increased from 191.7 billion in 2015 to 199.0 billion in 2016 (a 3.8% increase). However, not all accounts receivable are eligible. Most lenders only consider receivables under 90 days and generally allocate a 20% to 30% discount to eligible receivables. Do you know what percentage of your contracts have NET 90 clauses? What about the number of contracts with NET 30 or NET 60 clauses? CLM software can help your enterprise address these and many other questions and take several action steps to improve its situation for asset-based lending. Perform text searches of payment clauses. CLM software not only stores your contracts but allows your contract managers to search for text across the entire database. When faced with the question of how many contracts have NET 30 clauses, you’d be able to provide an exact number right away. In addition, CLM software uses OCR software to analyze PDF files and scanned files. Adjust clauses related to collection. One way to reduce the time to collect payment from clients is to adjust down the available time to pay. Through a centralized contract database, CLM software allows you to immediately adjust contract templates and specific clauses so that they become the norm across your enterprise. Another way to improve receivables is to adjust clauses for collection. Craig Conte, VP, Head of Contract Compliance & Optimization (CCO) at Capgemini, UK ran an experiment at an organization and found out that the main reason why clients with NET 30 payment terms were paying in as late as 65 days was due to collection issues. It is not sufficient to have net 30-day payment clauses, but also clauses to enforce collection in case of missed or late payment. Track contract language that deviates from pre-approved language. Once your enterprise establishes pre-approved contract templates and clauses, it can use CLM software to track deviations from pre-approved ranges. For example, you could set up a rule to receive an automatic notification every time that a contract manager grants a longer repayment period than NET 60. Given that within a CLM solution, every single action can be traced back to a specific user, staff pays more attention to tasks due to the higher visibility and supervisors are able to take action right away. No longer will who/what/when questions go unanswered for long. Remind contract managers of renewal dates. Some times payment terms are set in stone for a long period of time. And sometimes they can be renegotiated as early as by the end of the week! To keep track of all those key dates, your CLM software can alert you and the appropriate team members to be proactive and prepare in advance. As mentioned earlier, you’d be able to compare the contract language of a specific contract against that of comparable companies in the same industry and be better prepared to back up as to why you’re looking into adjusting clauses or removing terms. Execute contracts faster through e-signature. Of course, renegotiated payment and collection terms and clauses are only effective once the client has signed them off. That’s where e-signature software comes into play and allows your enterprise to reduce the time to execute a contract from weeks to just hours. By improving this metric, your enterprise will be able to meet the required repayment terms from your lender in less time. By leveraging CLM software, your organization can improve the state of your accounts receivables and improve its chances of landing an asset-based loan.